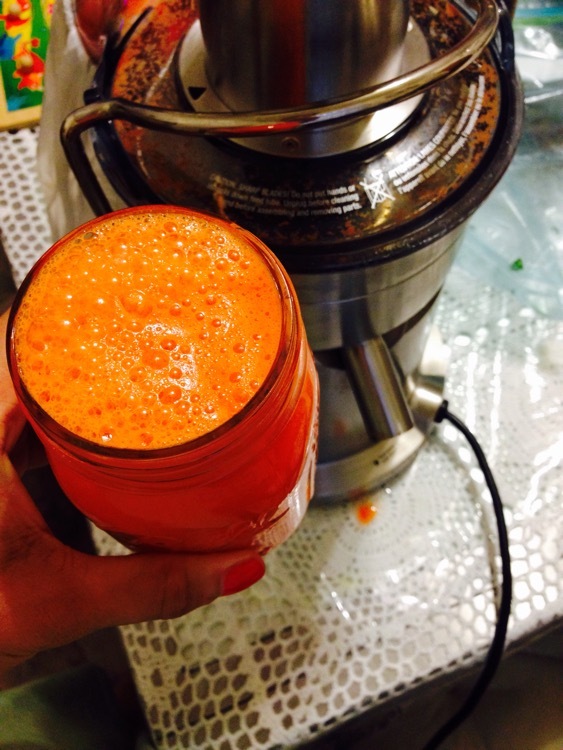 I woke up late this morning, but I refuse to leave the house without my organic carrot juice😋. To cut my time down in the mornings, I prepare my carrots from the night before. Plus, I add one green Granny Smith apple. According to the Gerson Therapy, combing these two together is key for detoxing the body of heavy metals. Granny Smith contains malic acid which is responsible for their distinctive tart taste. Plus, sour apples are higher in potassium, says Katheryn Alexandra who is a Gerson Practitioner.